Spacecraft orbit of Landsat 1, 2, and 3. 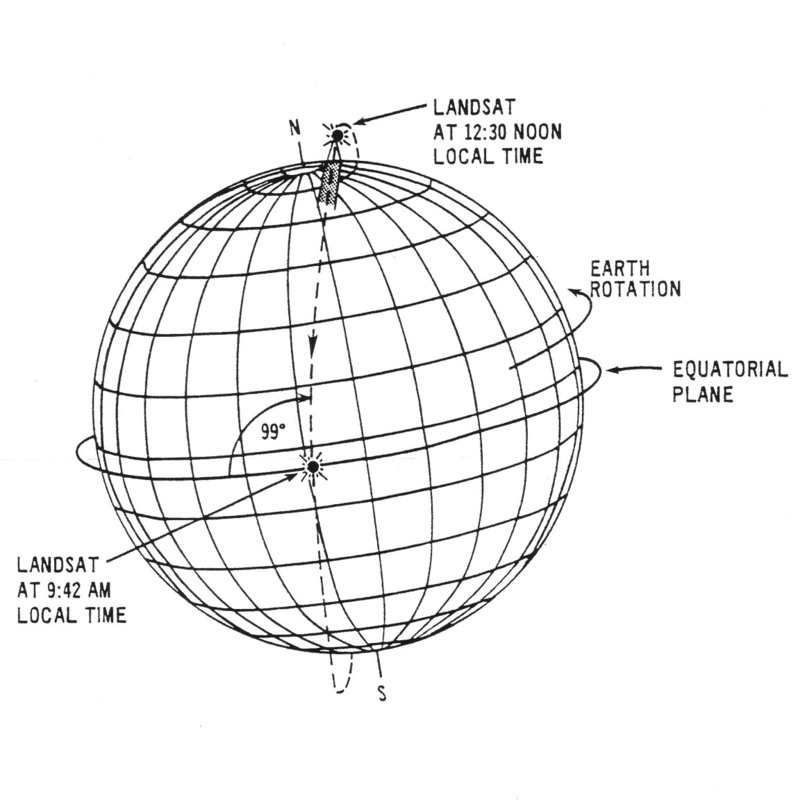 This schematic appears in The Landsat Tutorial Workbook: Basics of Satellite Remote Sensing, written by Dr. Nicholas Short and published by the NASA Scientific and Technical Information Branch in 1982. 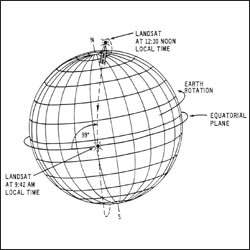 Dr. Short writes, “The Landsat-1 spacecraft was launched on July 23, 1972, and positioned in the orbit shown in [this figure]. Landsat-2 was launched on June 22, 1975, and Landsat-3 was launched on March 5, 1978.